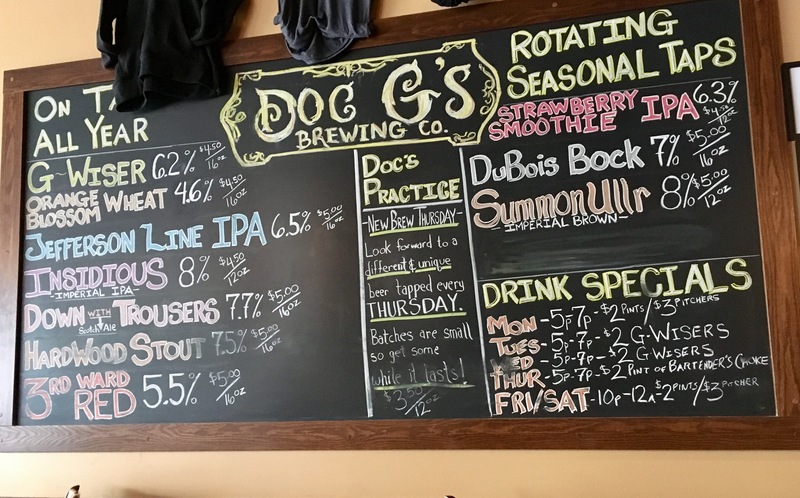 Doc G’s Brewing Company Visit – Midnight Munchies & More! 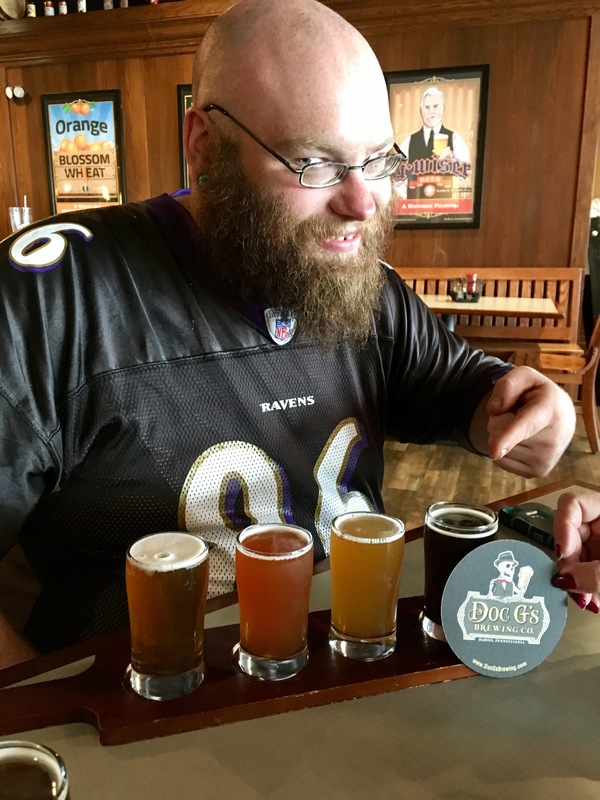 Fun date idea on a budget is touring local breweries! It is my most favorite thing to do and is usually either free or maybe $5, and you get to learn! 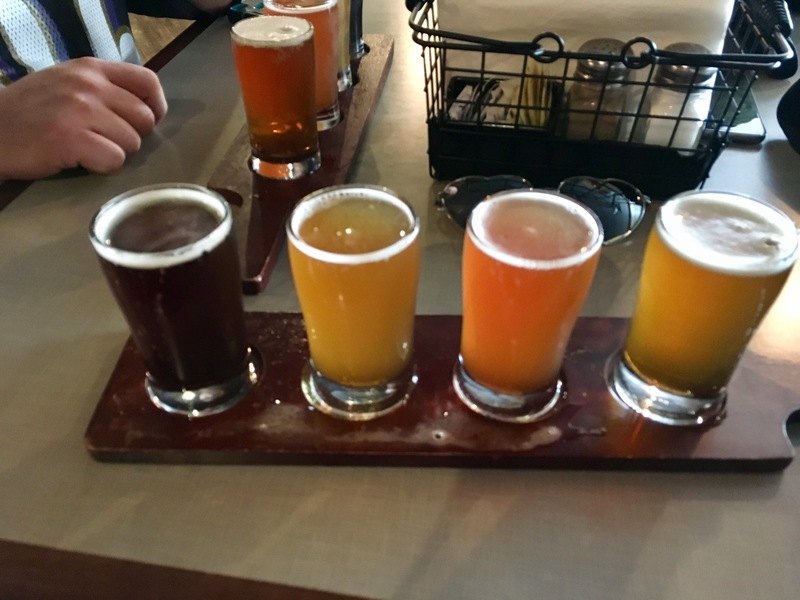 When my boyfriend and I go on vacation, we also like to tour the local breweries of that town. 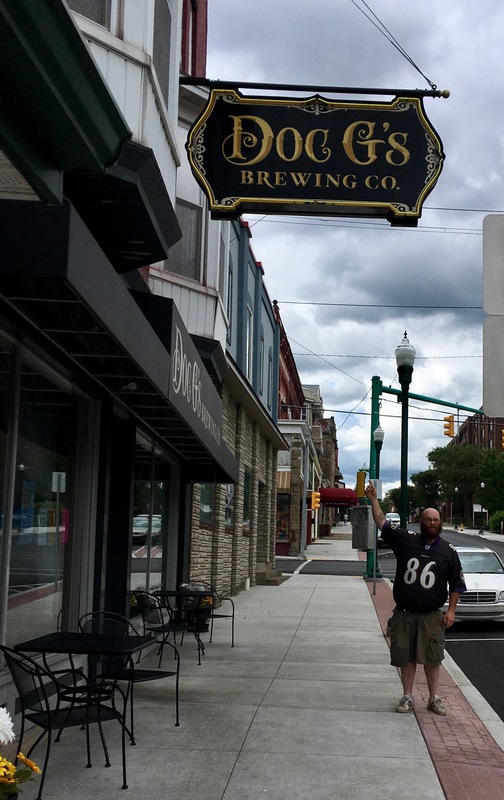 Recently, we were camping where my Grandparents grew up, my roots, DuBois, PA. Whilst we didn’t have time to tour their facilities, we were warmly welcomed by JP on an early Tuesday afternoon in June. The place was quiet, we were the only customers, as you could feel the place gearing up for a super busy night! The ambiance was comfortable and fun with a wall of what they had for the tasting! 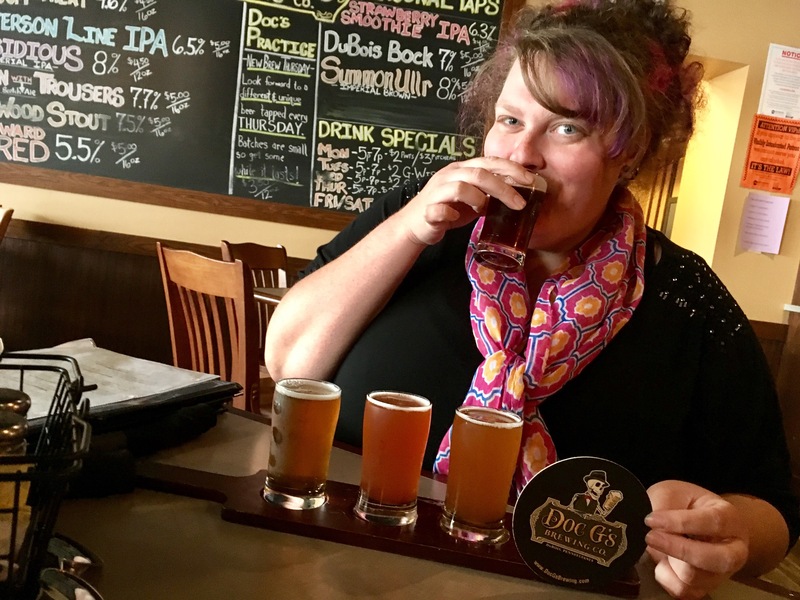 Now, hearing my late Grandparents stories, I remember long ago, DuBois Brewery. And they are tributing that ‘rich tradition of logging, mining and beer!’ That’s my absolute favorite part! No, I lie, my absolute favorite part was the food! Have I mentioned the food yet?! Ok, so we had just swung by to check it out and have just one beer and get back to the campsite. Well, we stayed much longer than that. They had a special on tacos, and my mom and her husband loved them! My boyfriend and I, however, are vegetarians and wanted to try their beer cheese real bad. 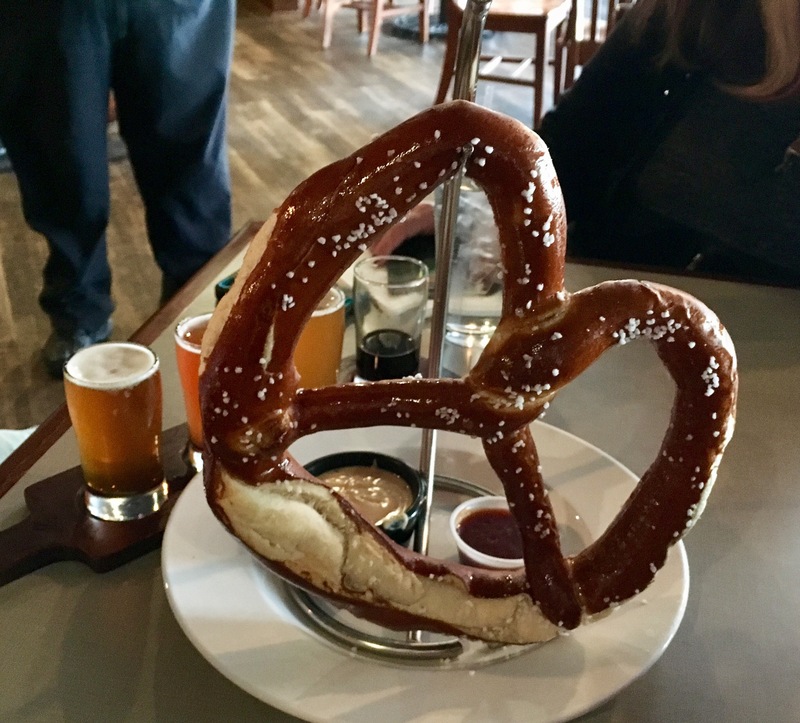 Here’s the thing, I just saw the words house beer cheese and pretzel and ordered it. I missed the word ‘mega’! 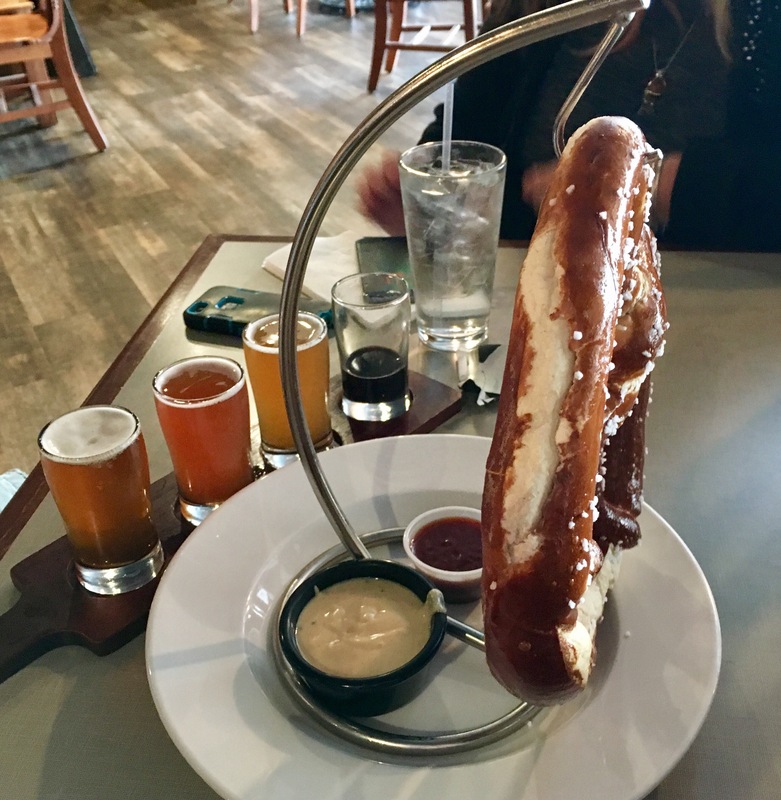 Boy was I pleasantly surprised when it ended up being bigger than my head hanging like a magestic knot of Bavarian deliciousness! JP also hooked us up with some Orange Blossom Mustard Sauce, made with their Orange Blossom Wheat! It was all so amazing! Of course we got flights too! We live about 4 hours from here but it is where we love to visit and camp because of my family. We will be back here every single time we are visiting, without a doubt. We wish we could’ve stayed longer but will make it a priority now that we know that there is not one thing we don’t like about Doc G’s! Make sure you find them on social media! They have an Instagram, Facebook and Twitter! 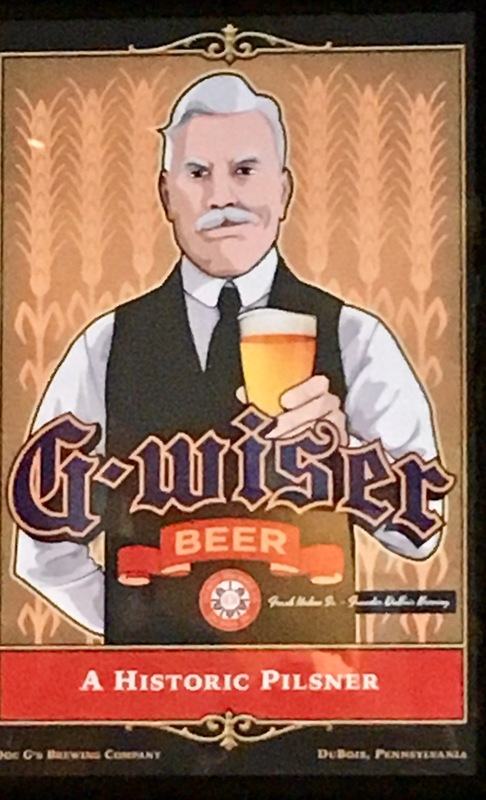 Their website is docgsbrewing.com.